If you're the type of man who likes to wear matching hats, shoes and suits, you are just the type of man who likes to wear fancy style walking suits. A walking suit isn't just for walking in but is a modern day leisure suit made for the style minded man that knows how to match from head to toe. 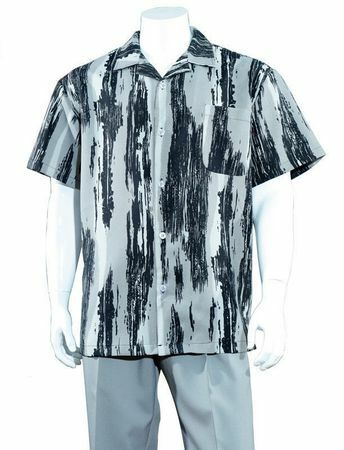 This grey color walking suit has brush pattern shirt with solid grey color pleated pants all ready for the party you must be going to.